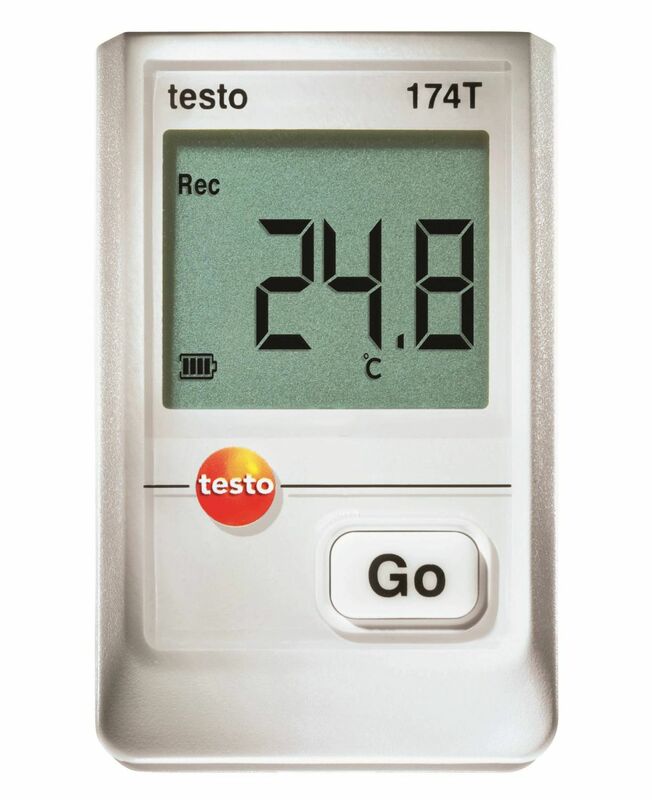 The testo 830-T4 laser temperature gun also achieves accurate results at greater distances during non-contact surface temperature measurement. 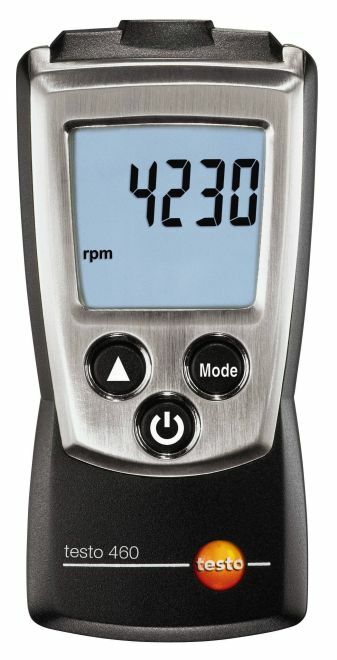 This is provided by its 30:1 optics and powerful processor. 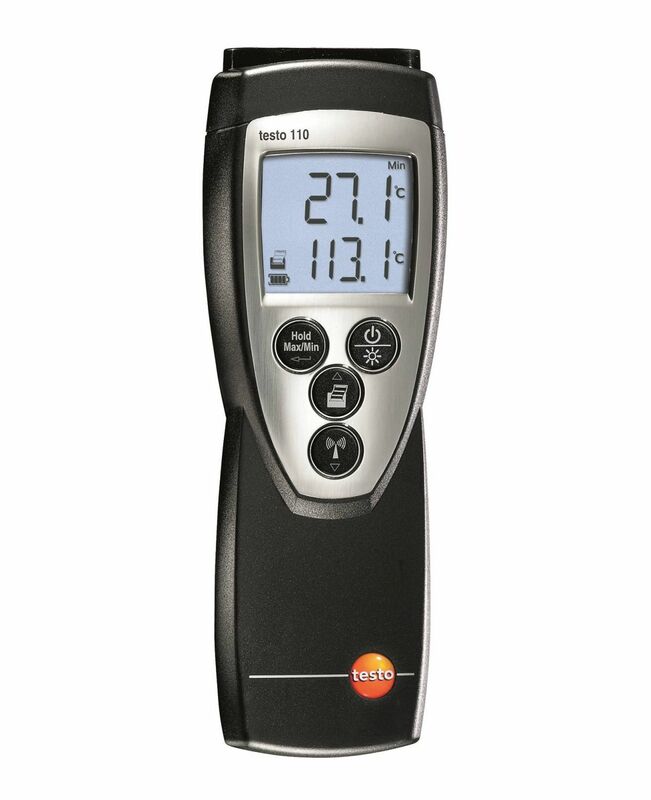 The non contact infrared thermometer measuring instrument carries out measuring tasks in trade and industry quickly and efficiently. 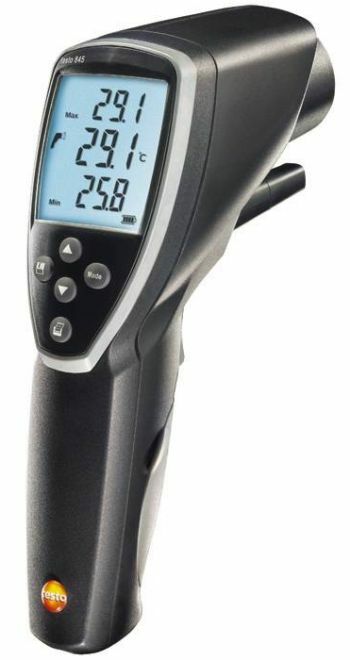 With the testo 830-T4 laser temperature gun you will be well equipped for non-contact surface temperature measurements in industry and trade. 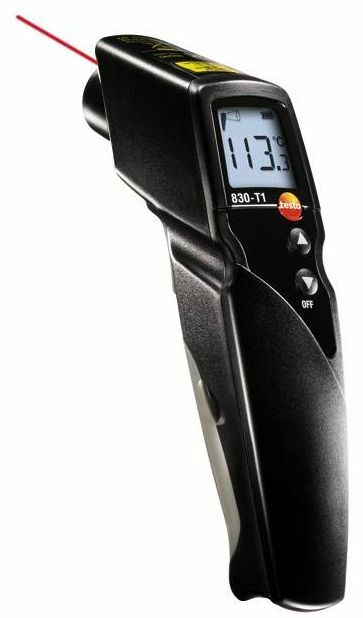 It is especially distinguished by its 30:1 optics, which also enables the laser temperature gun to record extremely small measuring spots at a great distance. 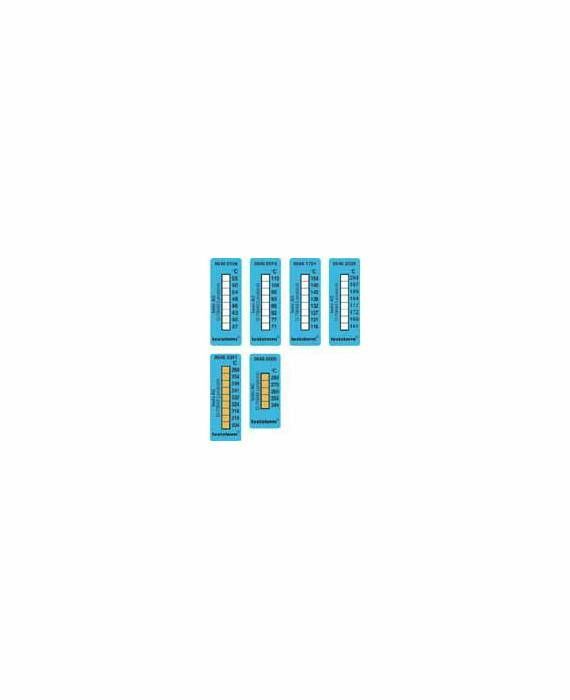 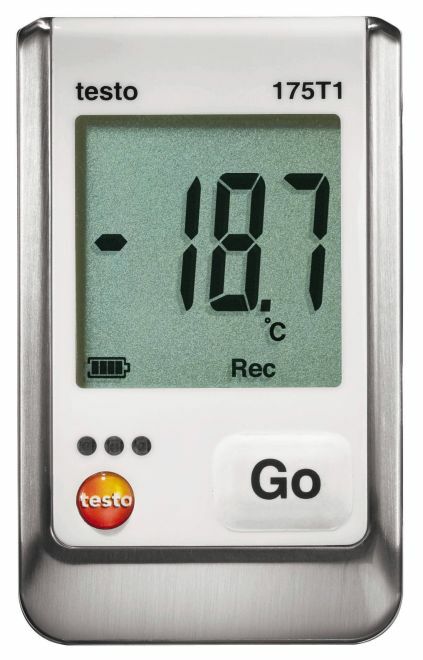 This therefore allows moving or dangerous objects to be measured from a safe distance. 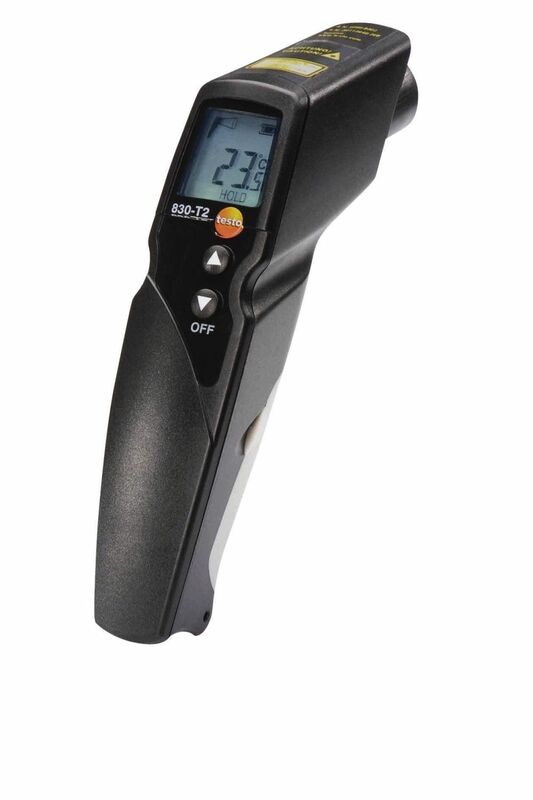 Furthermore, the laser temperature gun delivers extremely fast results with a speed of two measurements per second. 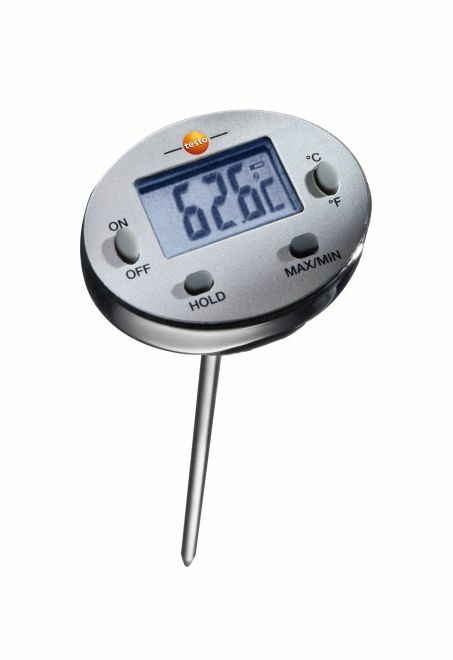 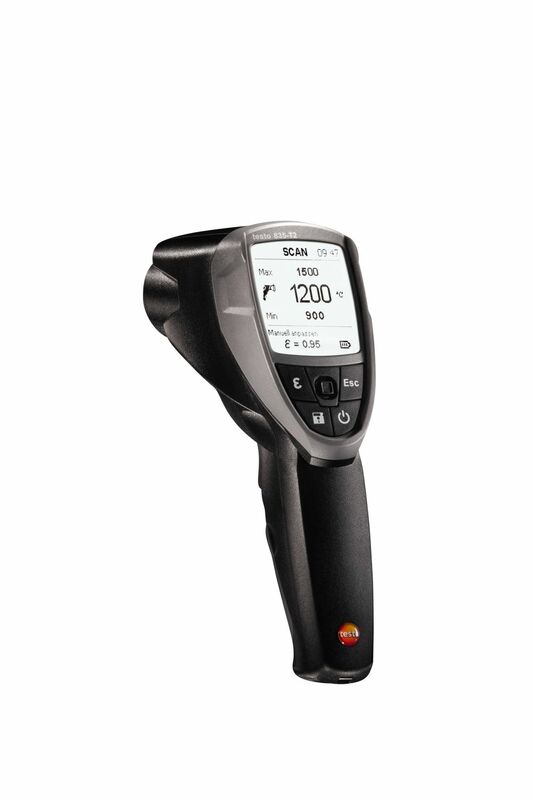 This means that extensive surface temperature scans are also easy to handle. 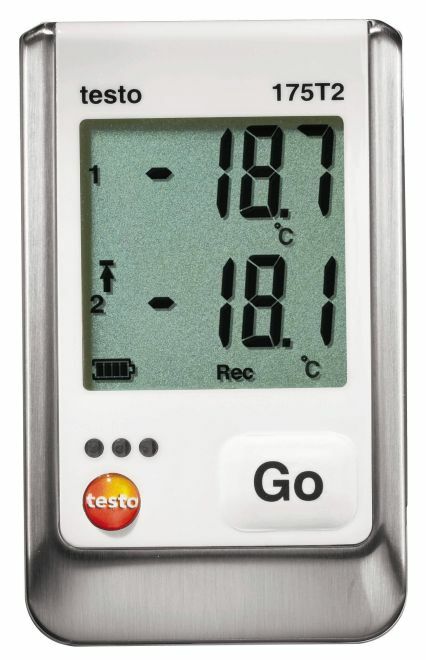 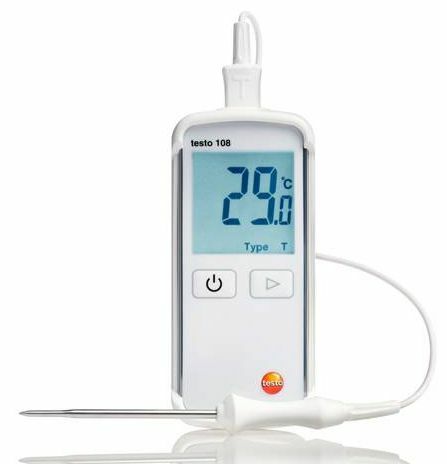 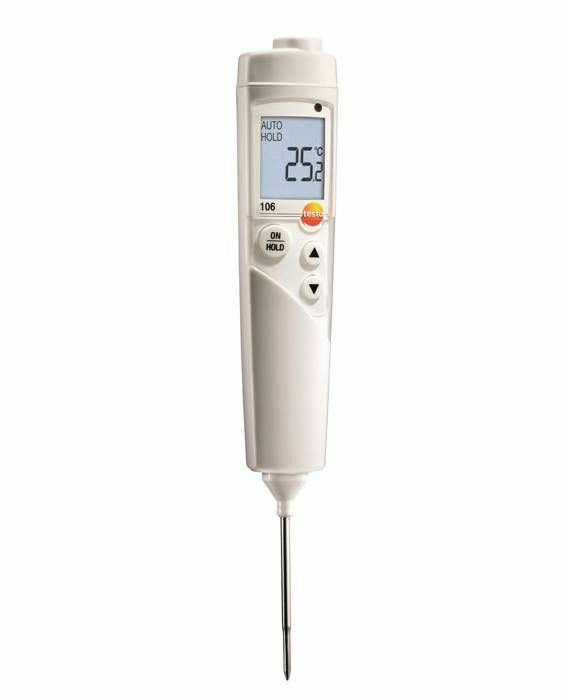 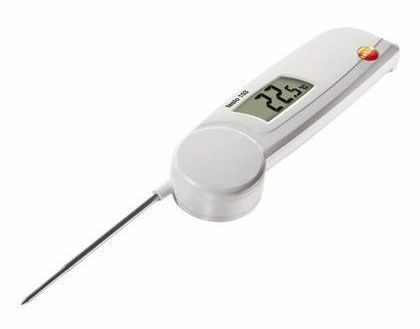 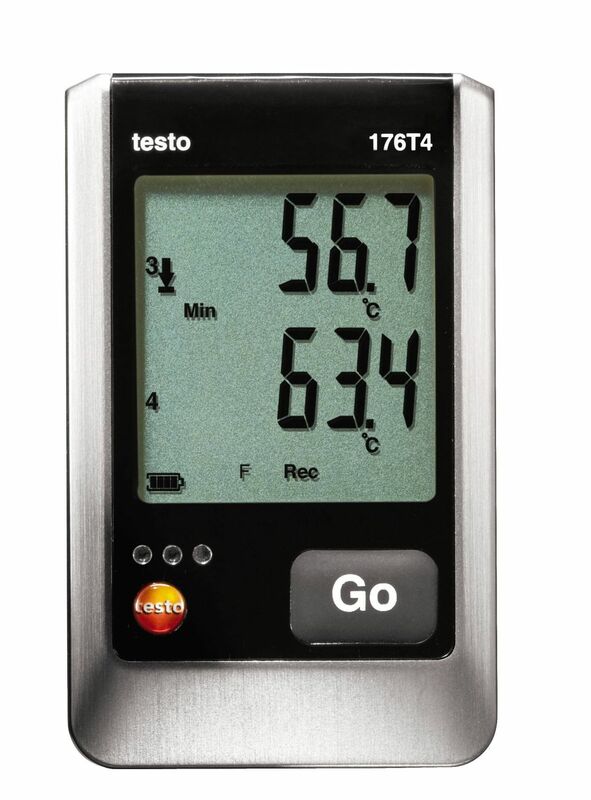 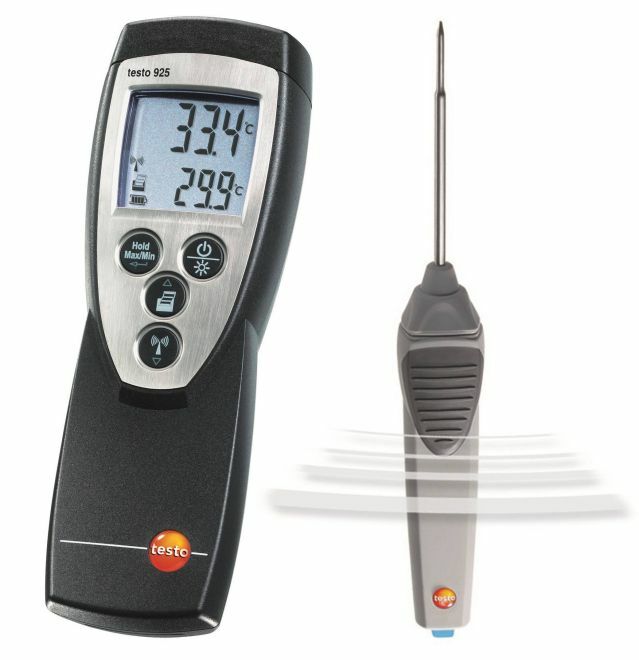 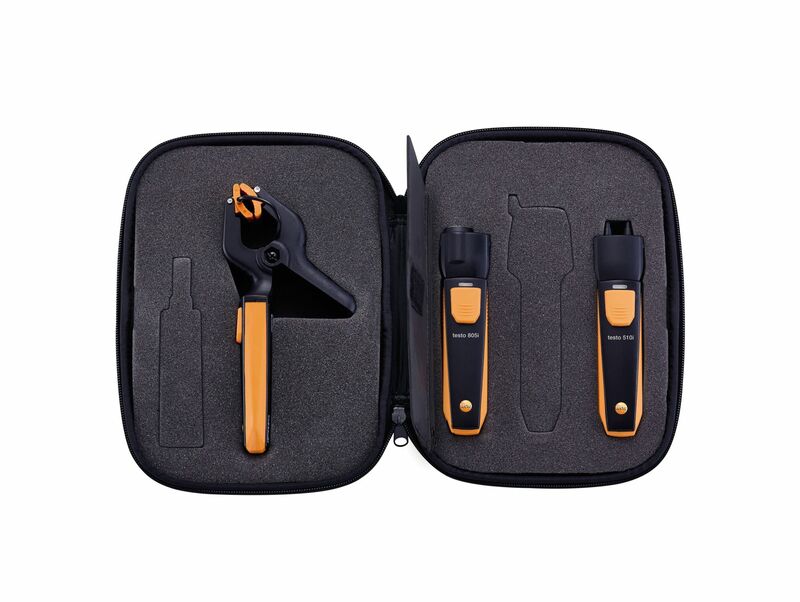 An optional external temperature probe to carry out contact measurements can also be connected to the testo 830-T4 laser temperature gun in addition to the non-contact IR measurement (e.g. 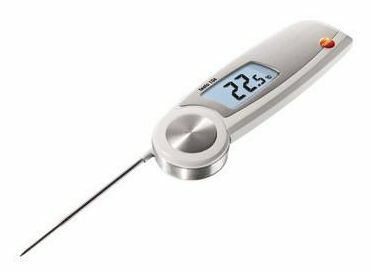 for control purposes). 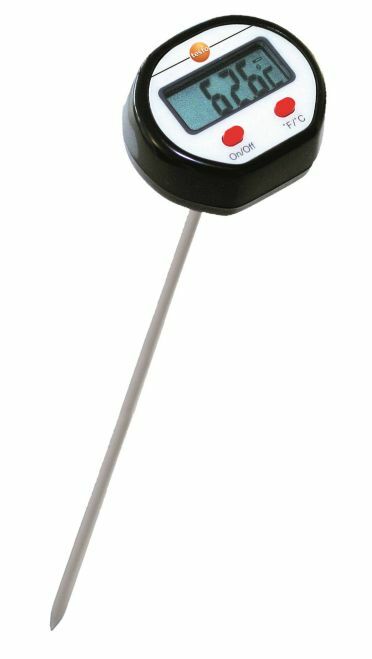 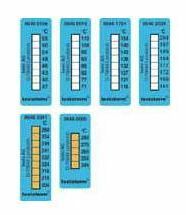 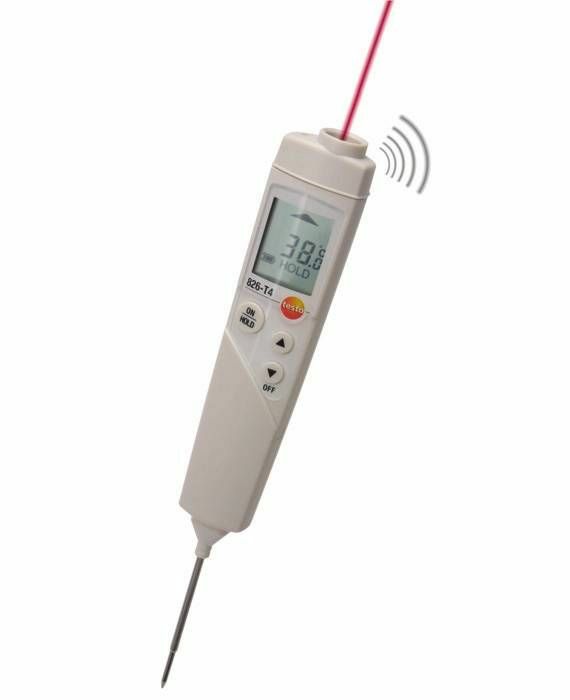 There are a range of thermocouple probes available for temperature measurements of air, liquids, semi-solid media, and surface temperatures. 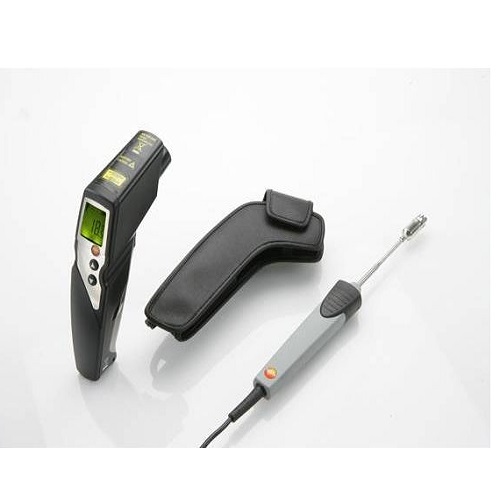 The comparative contact measurement with a surface temperature probe will help you determine the emission level of the surface material which helps you set the laser temperature gun emission level accordingly in order to achieve the best results in the subsequent IR measurement. 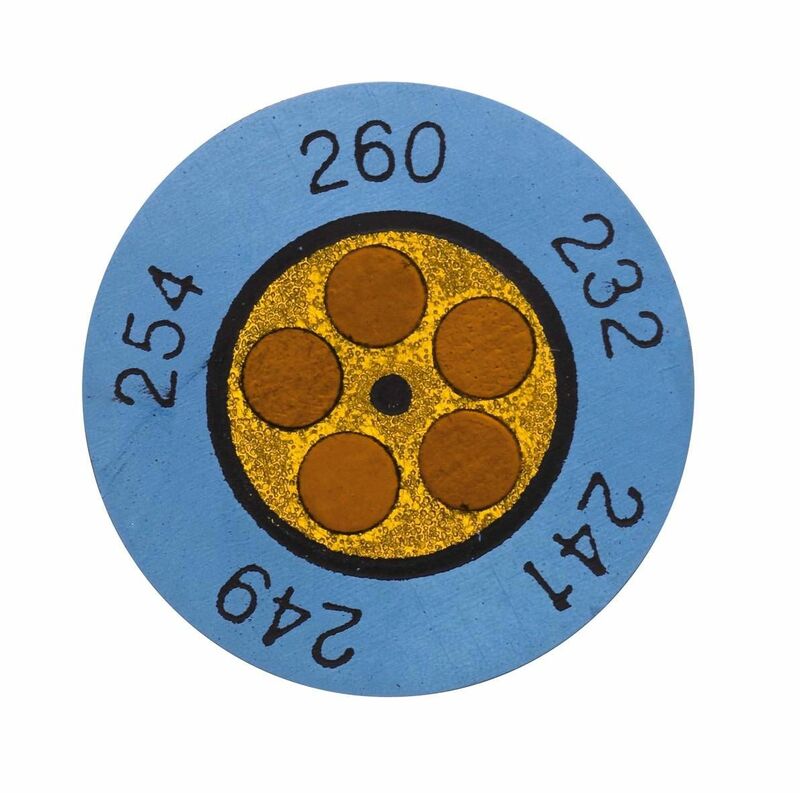 In case of surfaces with an extremely low emission level, we recommend using either an emission tape (optional), or the connectible contact probe (optional) throughout the measurement. 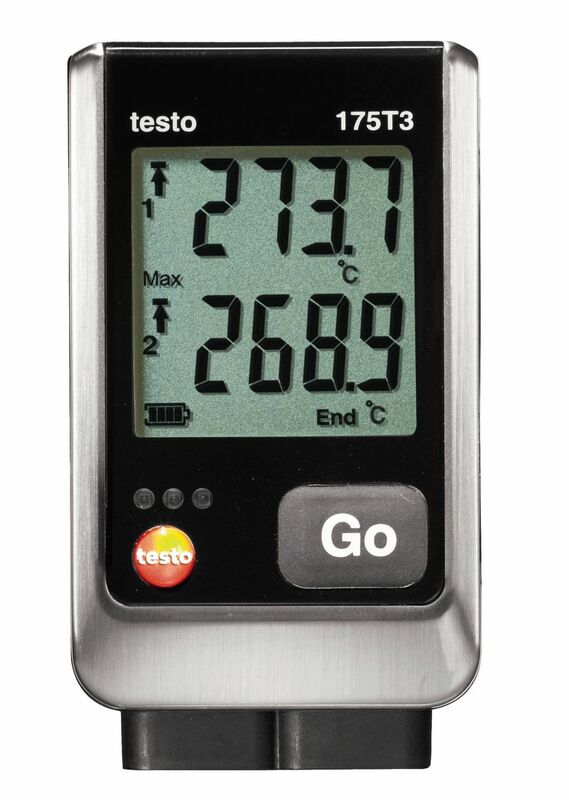 Testo 830-T4 laser temperature gun, including batteries and factory calibration protocol.